The Miele Complete C2 is an affordable model that includes Miele’s most popular high-end signature features. Many users consider it as the best home vacuum cleaner because of its compact, easy to use design. The yellow canister is a soothing and refreshing color that brightens the home with optimism. People acknowledge it as the best rated vacuum cleaner because of its many versatile features. It has a tightly sealed bag, lightweight design, and multiple suction controls which make the vacuum ideal for use in homes. Its ability to trap dust, pet hair, and other allergens in a self-locking bag with nine layers of allergy protection is its best features. The Miele vacuum includes 12 step air clean system filter which is powerful enough to trap 99.95% of particles. Moreover, the dustbuster is a powerful, lightweight and easily maneuvered. The air-driven, rotating roller brush powerfully loosens soil, dust and particles of food from the flooring. It also collects loose human and dog hair along with lint and sends them safely into the airtight bagging system. The Turbo brush safely cleans low to medium-pile carpeting and can be adjusted to six different suction settings from light to maximum power. The combined floor brushes easily attached for use on smooth hardwood and tile flooring, as well as on low pile carpeting and throw rugs. The easy transition between floor surfaces provides light work and is easier on the user’s back muscles. The suction can be adjusted from light to maximum depending on the surface being cleaned. The combination floor brush can vacuum areas such as bathroom tile floors and throw rugs without having to bend and remove rugs. At the end, this is the best vacuum cleaner for homes with combination flooring. The Miele C2 vacuum features six power settings for use on the curtains, throw rugs, floors, furniture and m ore. The versatility in suction settings allows the homeowner to clean a wide range of household dirt. This is the perfect vacuum for lightly cleaning draperies, curtains, and fabric. The maximum suction power is perfect for removing and trapping dust, hair, dirt and food particles from the home’s carpets and rugs. The C2 cleaner even has a quiet suction setting for homes with babies, small napping children or partners who work the night shift. Its quiet mode is perfect for when everyone is watching a movie or the game and a snack spill happens. This Miele vacuum has a lightweight design and weighs only 16 pounds. Its streamlined design allows for easy rolling and maneuvering of the vacuum around the home. Because of its light weight, people can easily lift or carry up and down the stairs. A large handle allows for evenly distributed weight, which is best for elderly individuals or anyone who desires to get the household chores done as quickly as possible. The Miele C2 has a 12-Stage AirClean Bag and Filter System which makes the vacuum as one of the best residential house cleaning allergic filtration systems. The system is Good Housekeeping Tested and Certified and this certification guarantees the vacuum’s integrity. The dustbuster and its filtration system have passed Good Housekeeping’s thorough testing and have proved to operate at top performance. The allergy tested and approved bags are self-locking to trap all collected dirt, dust, pet hair, food particles and debris. The filtration system is a great option for allergy sufferers and traps 99.95 percent of the dirt and dust down to .5 of a micron. Moreover, leakage is prevented to ensure a clean environment. Onboard tools are conveniently stored inside the yellow vacuum casing and include a dusting brush, crevice nozzle, and upholstery tool. These are the perfect tools for cleaning in between and under couch cushions, in the corners and crevices, safely vacuuming upholstery and for gently removing dust from hanging curtains. The attach ed crush-proof hose is durable and uncrackable. It uses along with the included telescoping, stainless steel wand that reaches into every nook and crevice and has lasting durability. Moreover, it has a parking feature which comes in perfectly handy when using the expanded telescopic wand to reach high above the kitchen cabinets or into the corners of the closet. This stainless steel wand helps the vacuum to obtain an operating radius of 36-feet. What attachments are available in the box? Yes, there are a bag and a filter so that you can start right away. Can I add HEPA filter to this model? Yes, you can add a HEPA filter to this machine. Which floor brush is best for bamboo, travertine and slate flooring? The parquet twister brush is the best in my opinion. Is the electric motor brush compatible with this model? No, this does not have the electric connection in the canister to operate a powered nozzle. Is it suitable for Oriental rugs? Yes, it is suitable for Oriental rugs , actually, it is very good for all types floors. Where Miele C2 limited edition is manufactured? Mostly, all parts are made in Germany and assembled in china. Miele does this with a couple of models. 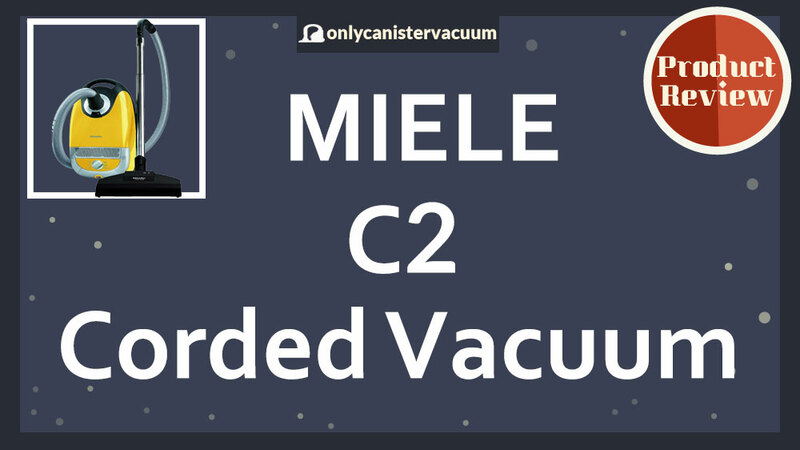 The Miele Complete C2 Limited Edition has earned the best home vacuum cleaner rating. This powerful vacuum has 33-foot operation radius, an air cleaning filtration system, and six power settings, a low noise motor. The product has seven-year manufacturer’s warranty and weighs only 16 pounds. This is a sound insulated, power packed, midsized, canister vacuum that is especially perfect for allergy sufferers. This vacuum is designed to compete with top-of-the-line household vacuums in today’s market. So, we can say that the Miele Complete C2 Limited Edition is the best vacuum cleaner for home use in today’s world.